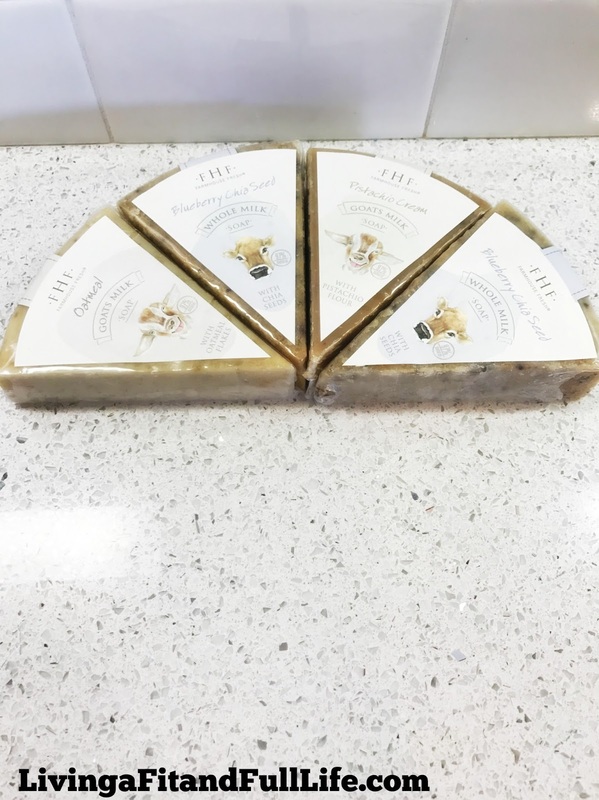 Living a Fit and Full Life: FarmHouse Fresh Launches Goats Milk & Whole Milk Soaps Just in Time for Holidays! 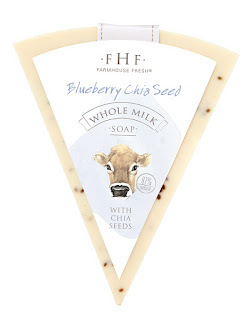 FarmHouse Fresh Launches Goats Milk & Whole Milk Soaps Just in Time for Holidays! 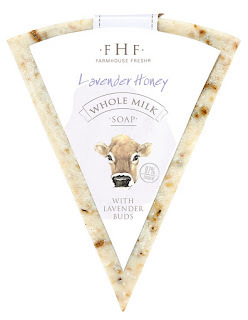 Lavender Honey Whole Milk Soap is 97% natural and like all FarmHouse Fresh products, it is paraben- and sulfate-free. 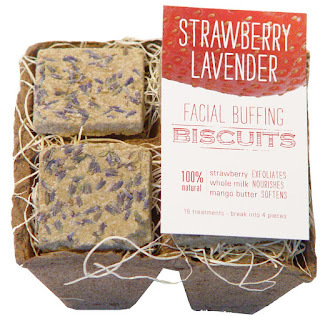 This rich soap if full of goodness inside! Goats milk contains buttery fats and vitamins A and B12 -- all of which help hydrate and nourish skin. 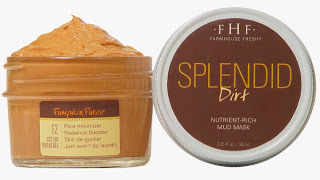 A blend of coconut, rice bran and olive oils provide a rich, lathering emolliency that leaves skin feeling soft and not stripped. 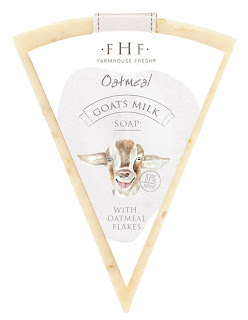 Oatmeal Goats Milk Soap is 97% natural and like all FarmHouse Fresh products, it is paraben- and sulfate-free. 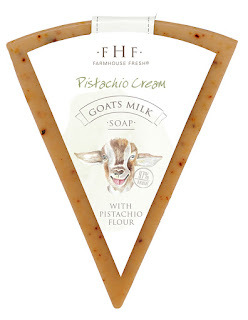 Pistachio Cream Goats Milk Soap is 97% natural and like all FarmHouse Fresh products, it is paraben- and sulfate-free. 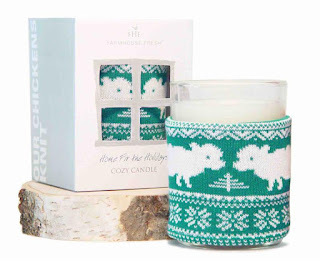 FarmHouse Fresh launches Goats Milk & Whole Milk Soaps just in time for holidays! Oh my gosh, you guys, I'm absolutely in love with FarmHouse Fresh's new Goats Milk and Whole Milk Soaps. I put these soaps in my bathroom and hadn't even used them yet, but every time I walked into the room it smelled amazing. Now that I've actually had a chance to use all four, I'm absolutely in love. My skin seems to be in love with them too! 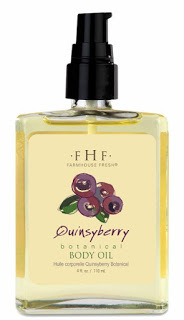 First of all, they all smell totally amazing and leave you smelling incredible as well. 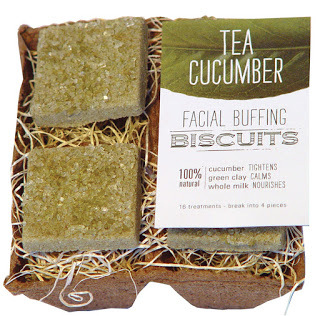 Second, they cleanse and soothe my skin and I love using them to lather up my legs before shaving. 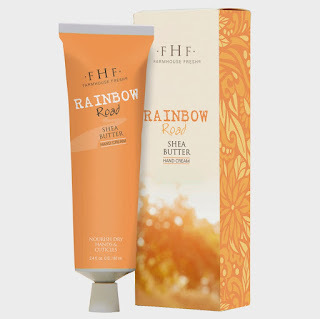 They help me get a super close shave and my legs don't feel dry and itchy afterwards which is a dream come true for me because even with shave creams and gels they would still itch and feel incredibly dry. FarmHouse Fresh's new Goats Milk and Whole Milk Soaps are my new favorite soaps and would be perfect for a relaxing bath or in a guest bathroom so guests can experience a wonderfully luxurious soap that leaves hands feeling heavenly. FarmHouse Fresh's new Goats Milk and Whole Milk Soaps would also make a terrific gift for just about anyone on your holiday shopping list!